Croatian police have closed seven out of eight road border crossings with Serbia, after an influx of migrants. More than 11-thousand have entered Croatia from Serbia since Wednesday morning. The closures include Tovarnik, near where most people have arrived. Migrants have been driven from trying to enter Hungary, which has fenced off its border with Serbia. Croatia says it has no capacity to receive any more. 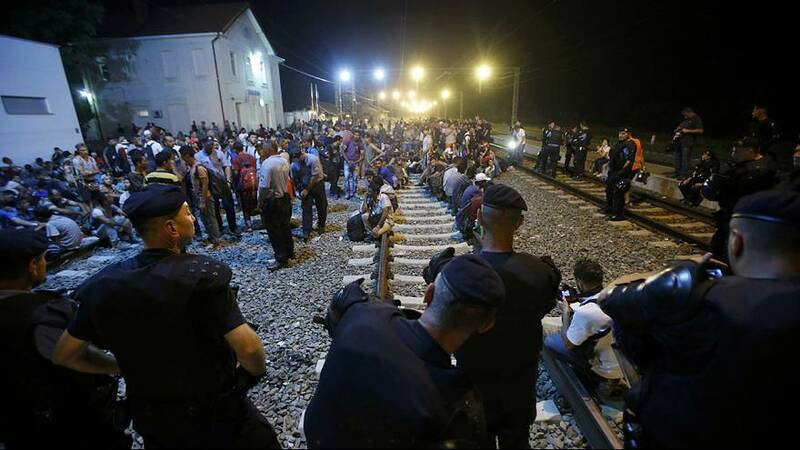 Meanwhile, it is unclear what has happened to around 150 people on a train from Croatia, that was stopped in Slovenia. They had been locked in carriages for hours. Some chanted Angela Merkel’s name. Slovenia has said it will not allow illegal migrants to pass through, but will facilitate asylum applications.